Download a Tree Planting Request form today from the Tree Warden's website. 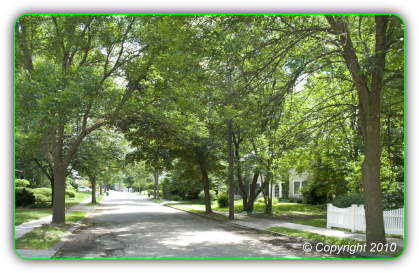 Not so long ago (and it feels like yesterday to some of us), many Watertown streets were canopied by large street trees planted between the sidewalk and the street. Unfortunately, as the number of cars parked in Watertown increased, planting strips were increasingly used for parking, and in many cases the soil was asphalted over. Using the soil around a public shade tree as a parking area slowly kills the tree by compressing and suffocating the roots. Asphalting further damages the root area and prevents moisture from reaching the soil. Asphalted planting strips along Watertown's narrow neighborhood streets are a municipal problem. When tree roots and soil are asphalted over, a significant means to absorb and filter rainwater is lost. This can cause local flooding in a deluge, and increases the volume of storm water into Watertown's storm drains, delivering street silt, road salt, car oil, lawn chemicals, and other pollution into the Charles River. Asphalted planting strips are a public health concern. When asphalt kills a shade tree it robs the tree's neighborhood of all the health benefits a tall healthy shade tree brings. Branches dropped by the dying tree are a safety hazard. Cars pulled up onto the planting strip often block the sidewalk too, forcing children, handicapped people and other sidewalk users to walk in the street. In recognition of these problems, Watertown's Department of Public Works policy is to remove the asphalt, reloam, and reseed planting strips at homeowner request wherever possible. One by one, planting strips throughout Watertown are being reclaimed from asphalt and replanted with shade trees. If you'd like to renew the planting strip in front of your home, here's a link to more info and a downloadable request form. If you'd like to plant a tree on your reclaimed planting strip, contact the Tree Warden too. 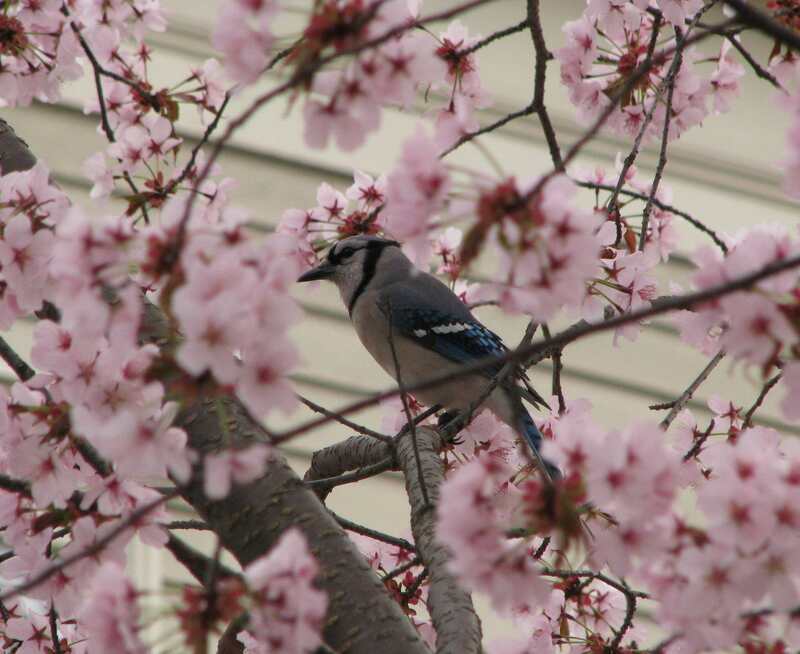 If he approves the site you can pick an appropriate species with him and he'll put in the new tree as soon as he can. The best way to insure the long-term health of public shade trees is simply to protect them from damage, to provide adequate water (particularly during the first three years), and above all, to provide adequate root area for a healthy mature tree. Unfortunately this doesn't describe the siting of many Watertown shade trees, nor the priority given to tree protection during street renovations. Inadequate water (especially during the critical first three years), too little soil for a mature root system, impact damage from car doors, root damage from street and sidewalk renovation, soil poisoning by chemicals like road salt and weed killer, compression of roots and soil by the weight of parked cars, excessive line clearance pruning by utility companies ... factors like these stress and may eventually kill even the best-loved street tree. Sometimes, in the case of a new tree, the tree was simply unhealthy when it was planted, or was planted poorly. A dead tree occupies a spot where a healthy new tree might be planted (see Chinese proverb above). A large dead tree may drop branches and may blow over in a wind storm. If a young dead tree is reported within the planting warranty period (usually a year), it can be replaced at no cost to Watertown. So when you notice a dead street tree, please contact Watertown's Tree Warden right away with the location of the tree. Upon confirmation he will arrange with the DPW to remove the dead tree and grind down the stump.